Target Consumer: Active women seeking firmer support and motion control. 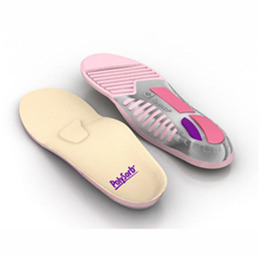 Recommended For: Support and stabilization for a woman’s foot as impact moves from the heel area to the mid foot while controlling supination (the outward rolling motion of the foot). Targeted support to manage the pressure and offloading that occur during a woman’s stride.